From leaving out a mince pie for Santa to decorating the tree, the lead up to Christmas, and the day itself, is full of different traditions. But with more than two billion people celebrating Christmas around the world, we won’t be all doing the same things. So here is just a bit of a fun guide to show what people do all around the world for their typical traditions at Christmas. There are so many lovely ones; will you be adopting any of them? Germany is known for its Christmas markets, as many have made their way over to us here in the UK. But there are plenty of other traditions that Germany and countries like Austria have alongside it. For starters, they leave shoes outside their doors on 5th December, to then have them filled with sweets on the morning of 6th December, to start their Christmas festivities. Quite a few countries in Europe do have this tradition. 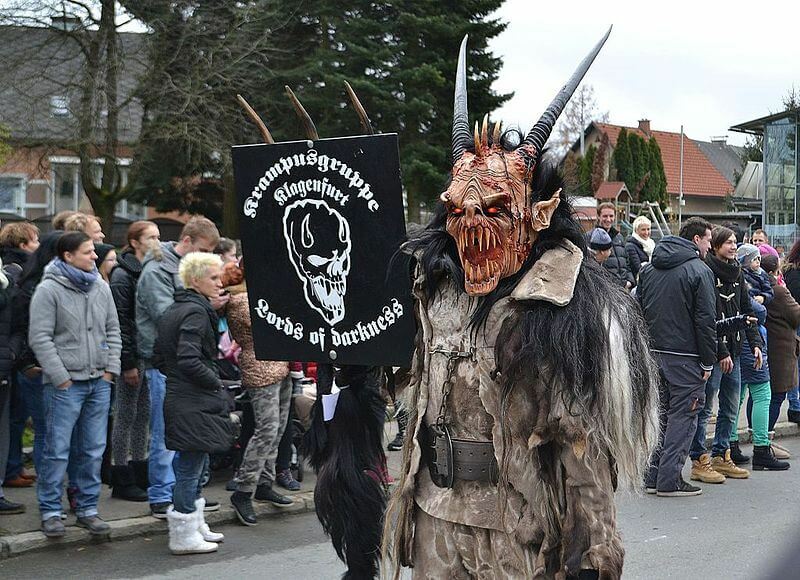 But one that is more unique to Germany, Austria, and Switzerland, is Krampus. He is the devil-like character that accompanies St. Nickolaus to warn children not to be bad. Krampus will feature in parades and even at markets in the run up to Christmas. In Portugal, as with some other countries in Europe, people do most of their celebrating on Christmas Eve. A salted cod is a traditional food to have on Christmas Eve, and all of the presents get opened at the stroke of midnight on Christmas Eve. Even young children will stay up late to open their gifts. Hopefully, it means everyone gets a lie in on Christmas morning! The Scandinavians are a practical lot, and one of their traditions is to leave out porridge for Father Christmas and his helper (Tomte in Sweden and Nisse in Norway). So instead of a mince pie and sherry or milk and cookies, there will be a bowl of porridge left out instead. I guess with the cold temperatures there it is a practical solution to help to keep Father Christmas warm on his deliveries. 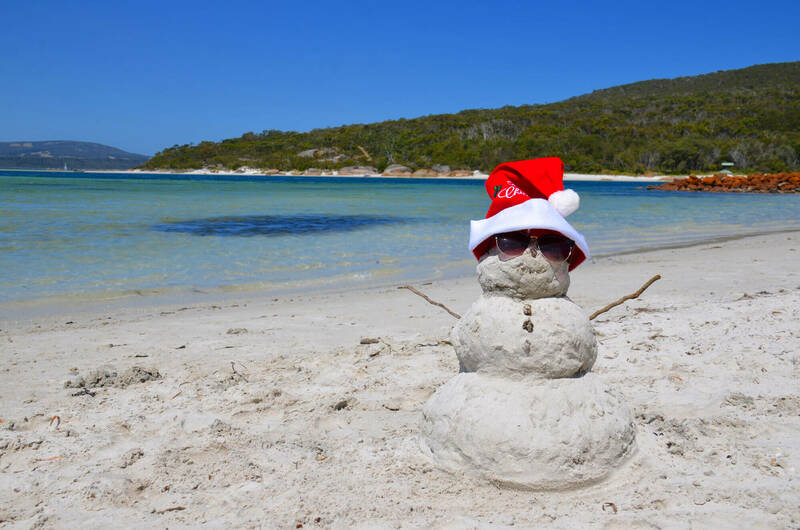 Being one of the only places in the world where Christmas Day is going to be scorching hot brings with it some really unique traditions. A BBQ on Christmas Day anyone? There is also a jokey tradition that Father Christmas swaps his reindeer for kangaroos when he hits Australia. Rudolph the red nosed kangaroo? For countries that are in the southern hemisphere, a traditional Christmas tree isn’t going to be common. So instead, they will decorate things like mango trees, and the mango leaves will be used to help brighten up homes around this time of year too. It might sound more like they’ve left the decorations up from Halloween, but in the Ukraine, one tradition is decorating their festive trees with spider webs. 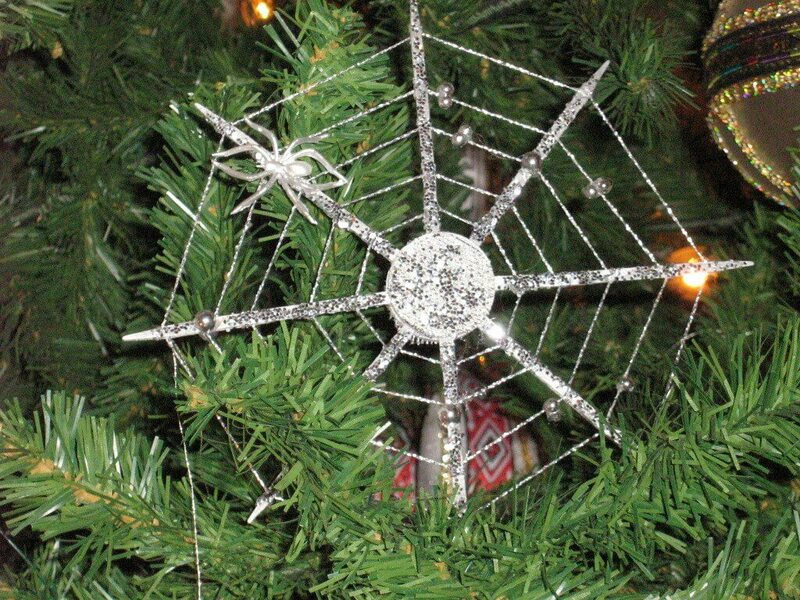 It might sound odd to us, but the legend behind it is that there was a magic spider that visited a family on Christmas Day, and turned the webs in their home into gold and silver. So the tradition is a nod to that and that the webs can represent change and posterity. In Iceland, one of the standout traditions is that there are 13 Santas that will come and visit the children in the lead up to Christmas. They are much less cheery than a British interpretation of Father Christmas as they are a lot more troll-like. But they come down one by one and leave something good or bad for the children. It may be a gift; it may be rotten potatoes. They all have names (rather odd ones like Meat Hook and Door Sniffer). So be prepared for some unusual goings-on if you’re ever in Iceland for Christmas! Like Portugal, a lot of the festivities for those in Poland will be on Christmas Eve, rather than the 25th of December. The main meal is on the evening of Christmas Eve, and it traditionally has, wait for it, 12 courses to get stuck into. Two of the courses are usually fish based, especially using carp recipes. There is also quite a unique tradition of putting an iron under the festive table while everyone eats on Christmas Eve. It is said to help everyone to have strong legs. With 12 courses, I think they’ll need it. Have you ever heard of any of these traditions before? I’d love to hear what you get up to at Christmas and what traditions you have grown up with. Let me know in the comments!